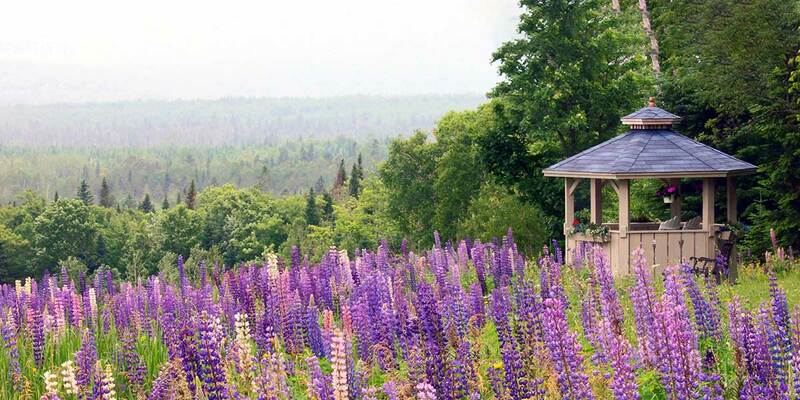 A Maine vacation encompasses all of the outdoor beauty and cultural pleasures of New England. People all over the world are drawn to the rocky coast and stunning vistas of Bar Harbor and Acadia National Park. The South Coast beach towns offer sun, sand, surf, family fun, and outlet shopping. Portland offers plenty of urban pleasures, art and fine dining. Inland, the state is loved for its majestic, unspoiled lakes and mountains, outdoor sports, and distinctive towns. 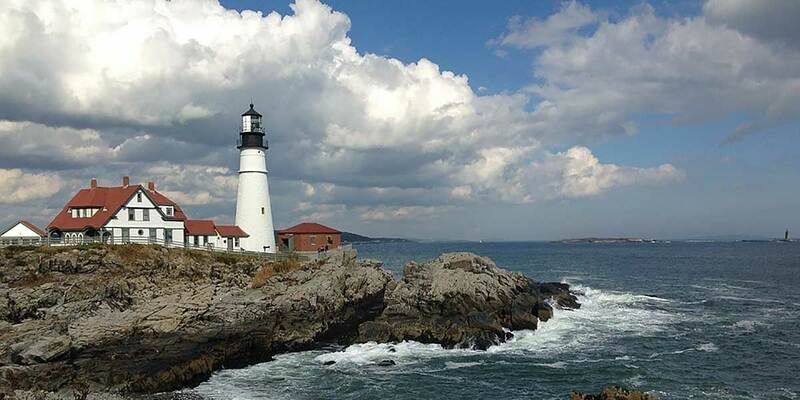 The Down East region of Maine, including Acadia and the town of Bar Harbor, is home to the magnificent rocky shores, cliffs, and bluffs that characterize the beauty of coastal Maine. The region's jewel is Acadia National Park, where people hike the granite peaks and bicycle on Victoria carriage roads. Bar Harbor has many family activities, along with fine shopping and dining. Portland is a delight for vacationers who love urban fun. The Old Port neighborhood of Federal architecture and cobbled streets is packed with restaurants, stores, and galleries. Cape Elizabeth's Portland Head Light a beautiful, classic lighthouse. Two Lights State Park offers great views of Casco Bay. The city of Freeport, 20 miles north of Portland, is home to the famous L.L. Bean outdoor store and many outlets. It is tempting to think of northern Maine – with its tumbling rivers, majestic forests, and logging history – as a place for outdoorsmen and –women, but that image would miss urban treasures in the cool, small cities of Augusta and Bangor, which have good restaurants, historic downtowns, and interesting museums. The northernmost tip of Maine is Aroostook, with 2,000 bodies of water, including the Allagash Wilderness Waterway. The Augusta-Kennebec area is partly named for the Kennebec River, which joins the Dead River at The Forks, a hot spot for whitewater rafting. Other major outdoor sporting areas of northern Maine are Mount Katahdin, Moosehead Lake, and the pristine Baxter State Park. The Mid-Coast is an idyllic region of rocky inlets, lighthouses, fishing ports, and rugged islands. Famous towns include Boothbay Harbor, Monhegan Island, Vinalhaven, Rockland, Camden, and Bath. Boothbay Harbor is a busy fishing village where visitors can watch the boats come and go. Ferries depart from here to wild Monhegan Island. Rockland offers art galleries, restaurants, and fun shops. Camden and Rockport are other thriving arts communities. Final tip: eat lobster! The South Coast region is Maine's summer dreamland. Famous towns of the area are York, Wells, Ogunquit, Kennebunk, and Old Orchard Beach. Visitors love to play on the beaches, explore lighthouses; shop at boutiques and outlets; and dine on lobster. Old Orchard Beach is an old-fashioned beach with a boardwalk and amusement park. The outlets of Kittery are a huge draw for bargain-hunters. Go explore the art galleries of lovely Ogunquit. This region, an extension of the White Mountains, is a place of great scenic beauty and outdoor sports in every season of the year, from cycling, hiking, golfing, and camping to leaf-peaking, skiing, and snowmobiling. Rangeley Lake State Park is famous for landlocked salmon and trout fishing. Another prime spot for outdoor people is Grafton Notch State Park.